Type 1 diabetes mellitus (T1DM) is an autoimmune disease characterized by a T-cell-mediated destruction of the pancreatic β cells. Several environmental factors have been proposed as candidate triggers for T1DM, considering that a genetic predisposition alone is not sufficient to explain the increasing incidence rates over the past decades. 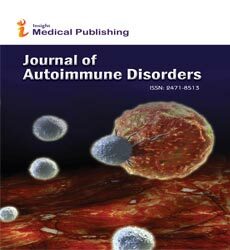 This organ-specific autoimmune disease is the consequence of multifactorial processes involving dysregulation of the innate and adaptive immune systems that lead the body to damage insulin-producing β cells. In this review, we reported the contribution of innate immune receptors in modulating the pathogenic lymphocyte responses in T1DM development, with a particular emphasis to NLRP3, which can be considered as a potential therapeutic target to treat T1DM.